The wind industry promotes itself as better for the environment than traditional energy sources such as coal and natural gas. But there are many issues associated with Wind. 1. Modern wind turbines depend on rare earth minerals mined primarily from China. Mining one ton of rare earth minerals produces about one ton of radioactive waste, according to the Institute for the Analysis of Global Security. Thus, the US wind industry may well have created more radioactive waste last year than our entire nuclear industry produced in spent fuel. 2. The government plays a large role in energy markets, through subsidies and regulation. Wind projects are unsustainable without government subsidies. On a kilowatt hour (kwh) basis, offshore wind power is estimated to cost 22.15 cents per kwh, while onshore wind is 8.66 cents per kwh, and natural gas combined cycle is only 6.56 per kwh. 3. Energy officials are worried about the potential of power grid collapse due to the use of renewable energy, says the Los Angeles Times, because renewable energy is more unpredictable than traditional forms of energy. 4. Five Million trees have been cut down since 2007 in order to build wind turbines to help Scotland meet its energy goals, says the Daily Caller. 5. Even the thump, thump, thump of wind turbines in Cape Cod are making people sick. Got Denmark envy? Wait until you hear about its energy policies. This is in California now. “[T]hey don’t want renewable energy.” Renewable energy? Does anybody realize how bogus a term that is, “renewable energy”? What do you think it means? “Well, ‘renewable energy’ means that we don’t deplete anything. It means that the sun’s always gonna be shinin’ and we can always get energy from it, and therefore we’re not destroying anything.” The idea that energy is free and the idea that energy spent doesn’t have to be reproduced? What kind of idiocy has led to this? But that’s not the point. The point here is that a bunch of Californians don’t want any part of a solar or wind farm on more than one million acres of private land, and San Bernardino County is listening to the residents and not the officials of the state. The residents “say they don’t want renewable energy projects industrializing their rural desert communities northeast of Los Angeles.” It was a “4-1 vote by San Bernardino County’s Board of Supervisors highlight[ing] a challenge California could face as it seeks to eliminate the burning of planet-warming fossil fuels,” which is also a crock. 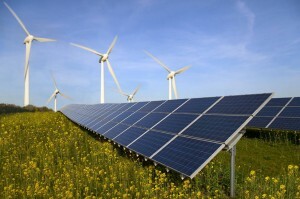 So here’s the dirty little secret about solar and wind farms, folks. You know what it requires? Do you know what you have to do to build up a giant wind or solar farm? You have to literally destroy millions of acres of land that the left used to say they cared about. Building a solar farm or a wind farm destroys landscape, it kills endangered species, all for an expensive and unreliable source of energy. Solar and wind are hostile to the environment leftists say that it will save. It’s hostile to disposable income. It’s a landscape-destroying, land-grab scam is what it is. It’s a way for the state or some other government to wrest control of private property under the auspices of saving the planet, taking this land away, and literally destroying it. And then you start putting up these solar farms and these gigantic windmills, and you create eyesores. You create death for birds. The noise that comes from these windmill turbines drives people away. One of the citizens that showed up at a hearing on this said, “These vast open areas are precious for their natural, historical and recreational qualities. But they are fragile, and no amount of mitigation can counter the damage that industrial-scale renewable energy projects would cause. Once destroyed, these landscapes can never be brought back,” and that’s the bottom line. So here you have on the one hand, a bunch of leftists who don’t want nature touched. When Europe’s central banks pushed rates below zero, large depositors found themselves paying interest instead of receiving it. But at the same time, some lucky homeowners found their mortgage payments turn into credits. The weirdness continues. 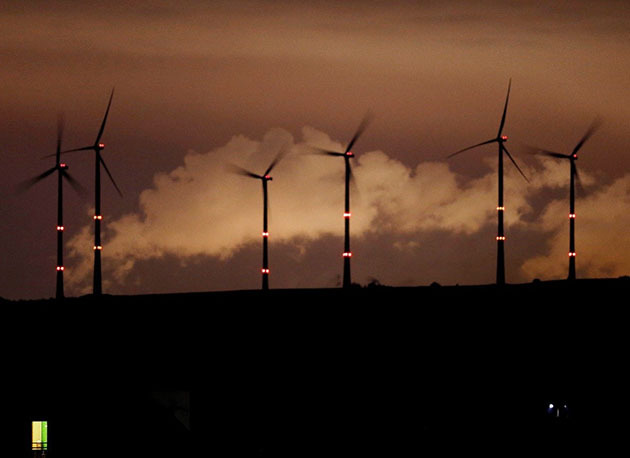 Last week, Bloomberg reported that German power producers would likely be paying customers to use electricity this weekend. How does this possibly make sense? The answer is in the wind. Normally, utility companies calculate how much a kilowatt-hour of electricity will cost to produce and therefore, how much to charge the customers. That’s pretty easy to do with fossil fuels, but wind production—which Germany depends on heavily—can be volatile due to weather conditions. That means utilities must install extra renewable power capacity to meet demand in sub-optimal conditions. The more power is generated, the cheaper it becomes—so in the occasional great conditions, the ratio goes negative, i.e., there’s so much power generated that instead of making a profit, the utility basically has to pay the customers. Two months ago, the US Department of Energy projected the un-subsidized cost of wind energy could drop 50% from current levels by 2030. That’s not dreamy environmentalist sentiment either. Remember who runs the DOE now: former Texas Governor Rick Perry. He’s one of the oil industry’s best friends—but he saw Texas harvesting wind energy and knows how much it helped our grid.